Make the mint syrup by mixing together boiling water, sugar and mint extract. Set aside - this syrup will last up to a month in the fridge so you can enjoy a skinny peppermint mocha all December long! Add milk, cocoa powder and mint syrup to a mug, then microwave 1-2 minutes (will depend on the power of your microwave and how hot you want your mocha). Stir well before and after microwaving. While milk mixture is in microwave, brew 2 espresso shots. 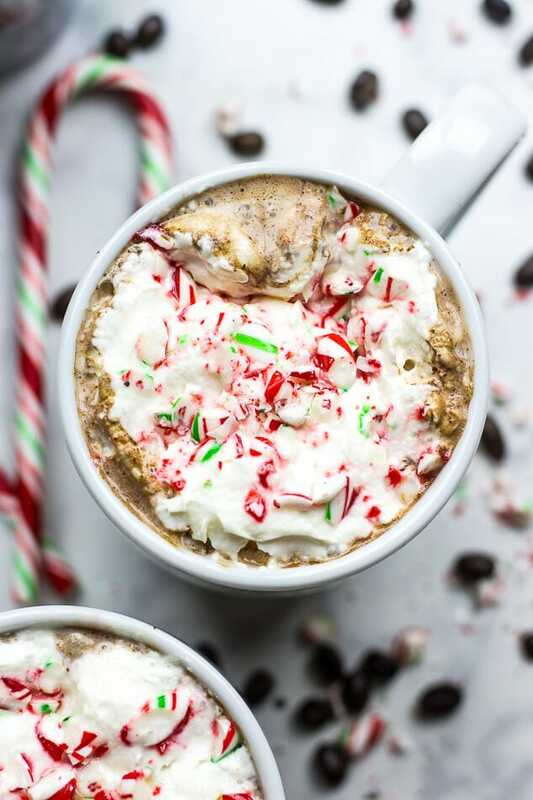 Add shots to the milk mixture, then top with whipped cream and crushed candy canes (both optional toppings), then serve and enjoy!